I found only a little bit of time this weekend to work on fun stuff. 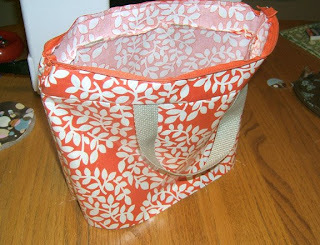 This is another lunchbag that I'm making, and it's just starting. I'm sewing it together in a different order this time, and I think it's going to work out a little better than the last one (as in tidier finishes).